I was writing in my journal, as I do each morning and I realized that when I do things, they get done. (Go figure!) When I don’t do something, fear is usually involved. Oh, it can disguise itself as procrastination, laziness or being ‘too busy’ but when you get right down to it; it’s FEAR. It creates depression and anxiety. 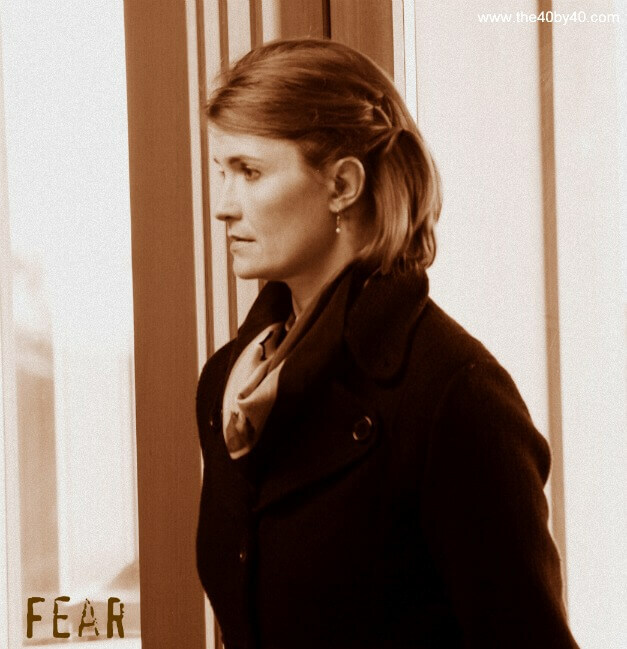 HOW IS FEAR AFFECTING YOUR LIFE? We are all afraid of something but is it stopping you from being the best person you can be? Is it stopping you from applying for a job you really want? Or going back to school because you think you aren’t smart enough? Is it stopping you from meeting new people? Or being totally honest with your lover? Perhaps it keeps you in a relationship when you know in your gut the relationship isn’t good for you. Or maybe it’s a fear your headaches are something more but you keep putting off the doctor’s appointment. In my experience, fear is the absence of truth. If I am disconnected with my instinct, my TRUTH, then I am fearful. Your INSTINCT is your TRUTH. It’s the highest form of truth and you have the key! This summer I will be facing many fears. Some of those fears are emotional and some are physical. I have to run in my underwear on Saturday. Yup, I’m scared to do that but I also know it’ll be a great day with my dear friend Jody, for an awesome cause (The Underwear Affair) and I’m pretty sure we’ll be laughing the entire time. I have promised my two nephews that I will bungee jump and zipline. I have bungee jumped once before but I am still terrified of heights. Why jump again? I will jump because I want the experience and the memories with my nephews. I do not want fear to dictate my memories. Conquering your fear is a daily occurrence. It could be small, insignificant things, but once you pay attention to that small fearful voice, you can then empower yourself each time you walk through that fear. Fear does not have to dictate your life. LEARN TO LISTEN TO YOUR INSTINCT AND YOU WILL CONNECT TO YOUR TRUTH. PS. If you want to read more on fear, check out this BLOG I wrote in September.